The Pro-X is the last in the line of what I would call true vintage Kyosho 2wd buggies. Released in 1994, it was offered in two different versions, the #30331 “Sport” and the #30333 “Team”. The “Team” version had a number of hop-ups, and could be compared to the “Turbo” versions of earlier Kyosho buggies, while the “Sport” version was a more affordable buggy, that could be upgraded to “Team” specs if needed. 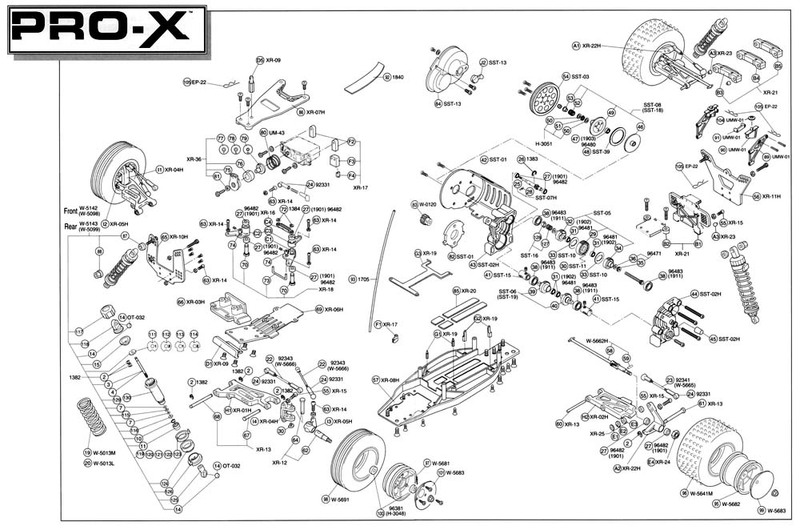 Exploded view of the Kyosho Pro-X buggy. The failed belt drive transmission of the Triumph. The history of the Pro-X really starts seven years earlier, with Joel Johnson winning the 1987 World Championships for Kyosho with his Ultima. In addition, Kyosho claimed both the 2nd and 3rd spots through Katsunori Kondo and Kris Moore, and for a brief time they dominated the electric 1/10 2wd world scene. Not long after that, their most successful designer, Akira Kogawa, left Kyoshos major design company “Auto Model Co.”, to work for HPI in the US. After claiming the WC title with the Ultima, Kyosho were very firm that they should keep their 2wd dominance, and wanted to continue the success, even after Kogawa left. Yoshiyuki Chikura was put on the task of evolving the Ultima to stay competitive against the RC10’s and the Losi’s that started to overtake Kyosho as the top brand in 2WD, and buggies like the Ultima Pro, and the long and wide Ultima Pro XL saw the day of light. In 1989/90 it was time to scrap the Ultima concept, and start developing a completely new buggy to take on the competition from the US, and the “Triumph” was born. The “Triumph” sported a belt drive gear box, as that was already a sort of popular upgrade from various hop-up brands at the time. But the Triumph was a completely failure, with the gear box being a mess, and the handling sub-par. The “Triumph” was quickly scrapped, and Kyosho decided on going full-in with the design of yet a new 2wd buggy to reclaim their crown. 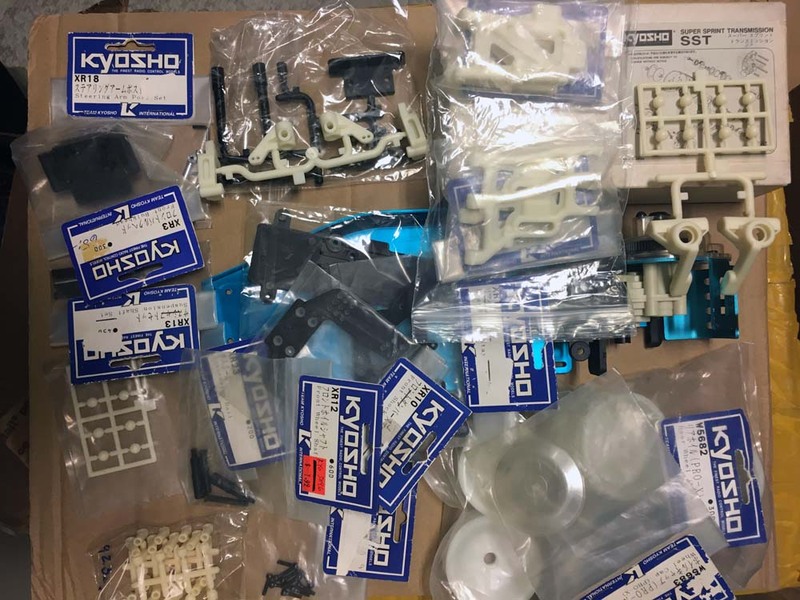 Around 1992 Kyosho “outsourced” the development of their new 2wd car from Japan and “Auto Model” to the US and a group of former RPS/Losi designers who were tasked with taking Kyosho to the “promised land”. The Americans started working on a prototype they called the “Triumph Pro”, but despite the “Triumph” name, this buggy was designed from scratch, and had no connection to the previous “Triumph” buggy designed by “Auto Model” and Yoshiyuki Chikura. One of the 50 initial “Triumph Pro”, Pro-X prototypes. In the late 1992/early 1993 fifty prototypes were delivered to the Team Kyosho drivers around the world, and one of them was Lars Wærn from Sweden. For Lars this was his last dance with Kyosho, and he left the team to join Team Losi just about a year later. A big thanks to Lars for providing invaluable info, pictures and other material about the “Pro-X” and “Triumph Pro”, and also to Akira Kogawa for helping putting together the timeline/history from the original “Ultima” to the “Triumph”. Some pages from the prototype manual for the Triumph Pro. In 1994 the final car was released to the public. The car was now simply called the “Pro-X”, and had cost Kyosho an insanely large amount of money, that was unprecedented in RC car development at the time. Rumors say that this venture nearly killed the company, but that is nothing I have managed to get confirmed. 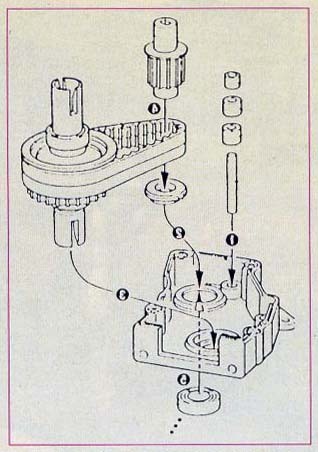 The simple, but underwhelming belt drive transmission of the Triumph was now changed with the highly over-engineered Super Sprint Transmission (SST). The Super Sprint Transmission (SST) of the Pro-X. But just like the “Triumph”, the “Pro-X” could not face up to the now very dominant Associated RC10 variants that completely owned the 2wd circuits at the time. Like the “Triumph”, the “Pro-X” was also soon dropped as a competitive buggy, and the best team drivers left to compete for other brands. The basic design of the “Pro-X” lived on for years though, through various electric and gas powered stadium trucks etc., so the money spent on the development wasn’t completely wasted. After the failures of both the “Triumph” and the “Pro-X”, Kyosho halted development of new competition 1/10 scale 2wd buggies, and did not enter the game again until 1999 with the “Ultima RB”. Although the Ultima name was reused, the RB-series don’t have anything in common with the original Ultimas. The design duty however, was once again returned to “Auto Model”, where Yoshiyuki Chikura and his team still today develops the top 1/10 scale electric buggies for Kyosho. 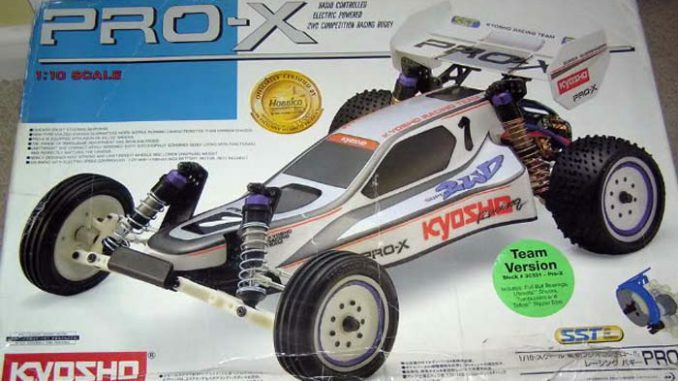 Being a 1994 release, the “Pro-X” is a bit too new for my liking, but the history and epic failure of this venture makes it impossible to overlook if you are a Kyosho nut like me. I first decided to build a “Pro-X”-ish buggy, based on the beautiful blue anodized aluminum chassis of one of the stadium trucks, instead of the original kelron chassis of the “Pro-X”. This was partly because I didn’t find a new original chassis, and partly because I just loved the look of that chassis combined with the blue anodized motor plate and guard. But when putting things together I soon found quite a few problems with using that chassis, that required major “surgery” to make it into a “Pro-X”. I have later found a NIB kelron chassis, so my build will be based around that. A lot of the hard-to-find parts were provided to me by my Finnish friend Sami Heletoja, and the chassis I got from Björn Apelquist in Sweden. All NIB of course. The rest of the parts I got from various sources around the world. Some of the NIB parts I have collected in preparation for my Pro-X build. Some more NIB parts for the build. I have later scrapped using the blue aluminum chassis, as I have found a NIB kelron chassis. Great job! Have a lot of history to post as well. I always liked the way the anodized aluminum looks. I have an Outlaw Rampage Pro with an OS CZ-R engine that uses the same transmission but not the team truck, might be the sport version because there are some ball bearings, still some bushings and no aluminum shocks. I ran it a couple of weeks ago and stripped the differential gears in the SST. Now I am having trouble finding the parts. Does anyone know if I can swap the transmission for something more common? Unfortunately I don’t know if it’s possible to easily mount another transmission on these cars. But if anyone have experience with this, please let us know. 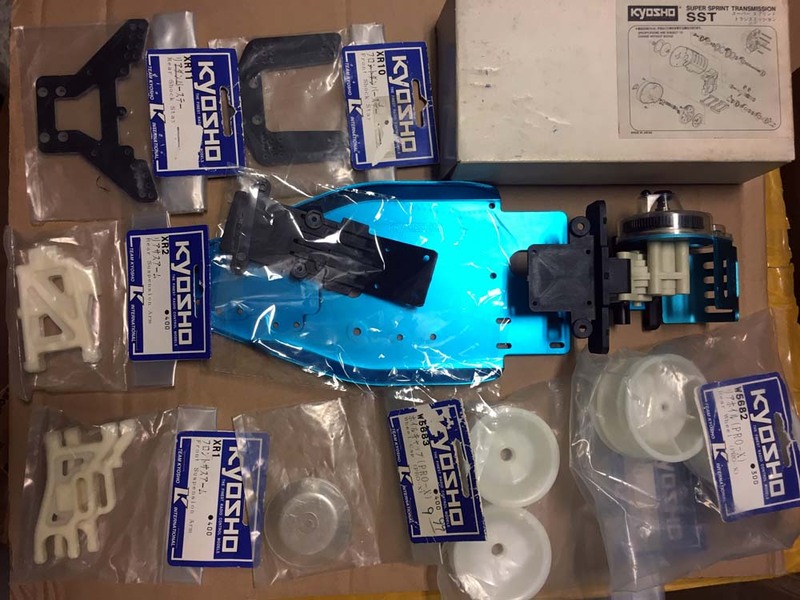 Great read and info on the Kyosho X series. I am currently collecting new parts for a XRT build. I have been fortunate enough to find parts such as chassis, arms, motor plate, wheels, towers, and transmission cases, all NIP. However I still need f & r tires, transmission internals, out drives, and body mounts. Question – Is the Rampage body the same as the XRT body? I also need a body and decals. Thanks again for the great info. Please let me know if you have any of the parts I am after. These models are quite a bit too new for my liking. My “focus of interest” is in the 80’s, so I won’t pretend to know much about those you mentioned. I only built my Pro-X because of the history and being the last of the true vintage Kyosho racing buggies. The trucks I don’t know anything about, and don’t have any parts for. I just sourced the parts I needed for the Pro-X build. Thanks, but since the time this article was posted, I have managed to source a NIB wing.